Easter in Sweden is a great mixture of tradition, fun, dressing-up and eating enormous amounts of candies. As you probably know, Sweden is a secular country, so Easter is not a very religious event. But, for sure, it’s a great family time, full of colours, blossoming nature and delicious food. Read our short guide and get ready for Easter in a truly Swedish way! You’ve probably seen it in every store over the last month. 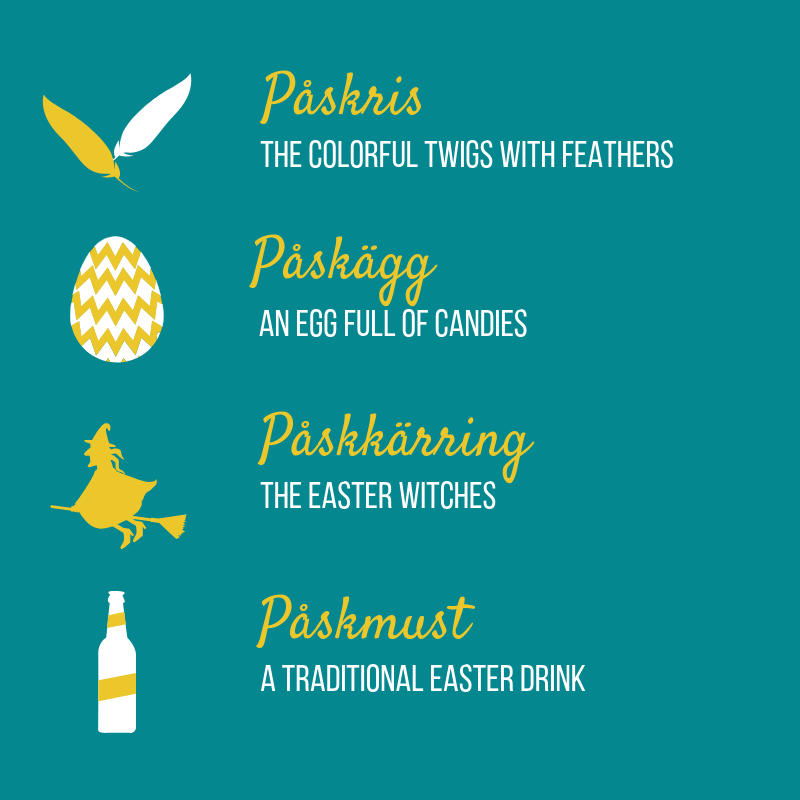 Speaking simply, påskris are branches with colored feathers that Swedes use to decorate their houses at Easter. There is no tradition of giving Easter presents, except this very special (and delicious) one. Påskägg is an egg-shaped box (usually made of paper or metal), filled with all types of candies. Speaking about eggs, did you know that the average Swede eats 4,1 eggs every Easter? Påskkärring – the Easter witches. The legend says that the witches were flying on their brooms to Blåkulla (Blue Mountain) to dance with the Devil. They were leaving on Maundy Thursday and coming back on Easter Day. Nowadays girls dress up like witches on Thursday before Easter and try to get some candies from their neighbours. I’ll probably put the cat among the pigeons by saying this, but Påskmust is the only part of Swedish Easter that I really stay away from. But if you like chemical sugary drinks then you can enjoy Påskmust not only at Easter, but also at Christmas (then it changes it’s name to Julmust, but tastes exactly the same). Is Easter in Sweden different from Easter in your country? Do you have any favourite traditions that were not mentioned here? Share it in comments! which we listen to from my mobile phone, through a Sony wireless speaker. 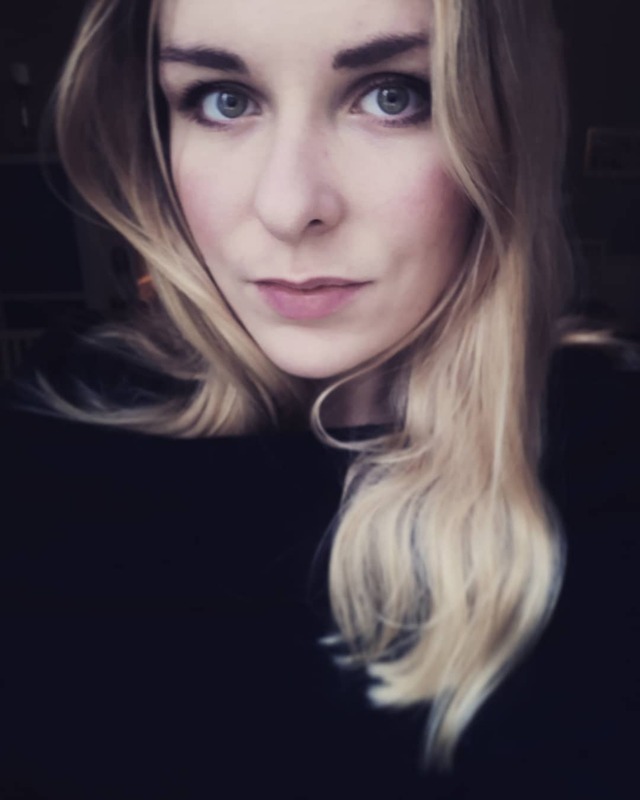 I learned my Swedish in Stockholm in the 1950s when I worked in a bookshop for two years. I also became engaged to one of my fellow workers. In New Zealand, we both finished up teaching English at a university. That is what leads me to my last point, which is a comment, not criticism. Instead of writing “on Easter or Christmas”, the usual preposition is “at”. Damn those prepositions, so hard. Igen, tack för allt att du gör, jag gillar det!